Tracking what Fed Presidents get wrong is itself a measure for measuring expectations. The cover of the volume should be changed from Beige to mirrored glass. But late 2015 was rife with all sorts of market prices and movements going the other way – renewed deflation rather than wage-driven inflation. The implication was clear; in the Mirror Book way FOMC officials were hoping and praying for inflationary pressures, writing them into their book instead of conducting more rational analysis. Guess which interpretation ended up being more accurate? 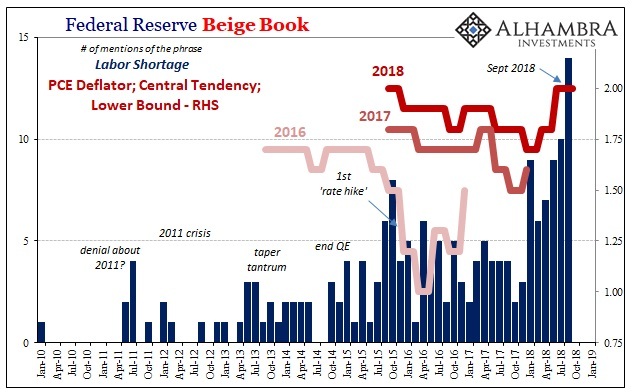 As the PCE Deflator plummeted and the Fed’s models recognized it, toward the end of 2015 the number of times each successive Beige Book volume mentioned “labor shortage” plummeted, too. By March 2016, that one cited the term just a single time. The labor shortage if it was real didn’t matter; more likely, it was the collectively biased imagination of Economists attempting to convince each other there was a real basis to it. 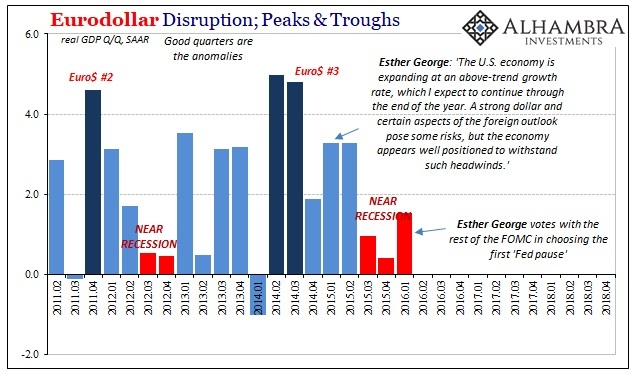 Their bitter disappointment in early 2016 was nothing compared to the global economy’s. We are still sorting out the consequences. 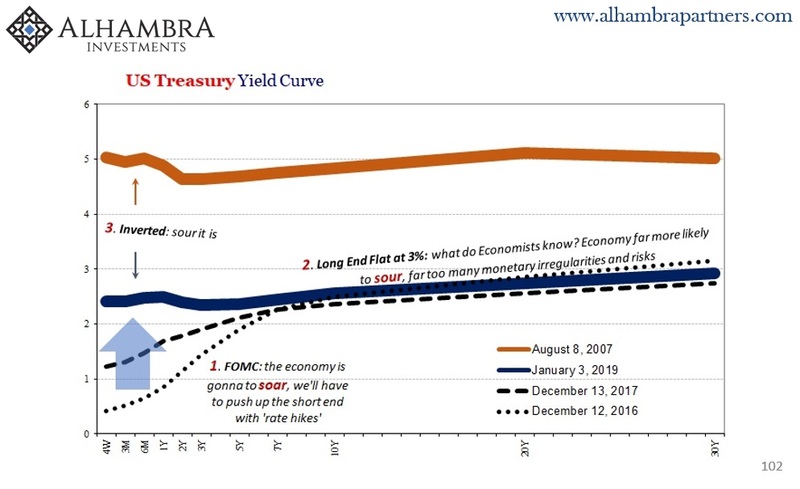 These have included officials having learned nothing from the last downturn, instead becoming even more determined to just repeat the futile exercise – becoming full-blown hysteria by the end of 2017. The Beige Book fiasco would peak in September 2018. Jay Powell and his gang received the best news, they thought, earlier that month when the BLS payroll reports suggested a mild pickup in wage gains – but since they were couched, technically accurate, as the best in a decade emotions ran wild. September’s version of the Mirror Book mentioned “labor shortage” fourteen times! Surely, the unemployment view of the economy was right this time. This followed from substantial upgrades to the modeled central tendencies for inflation; which only raises the question as to what the basis for either the models or the anecdotes might truly be. You can probably guess what happened next. In October, markets turned ugly, kept going in November, and then really hammered everything in December. Again, deflation. 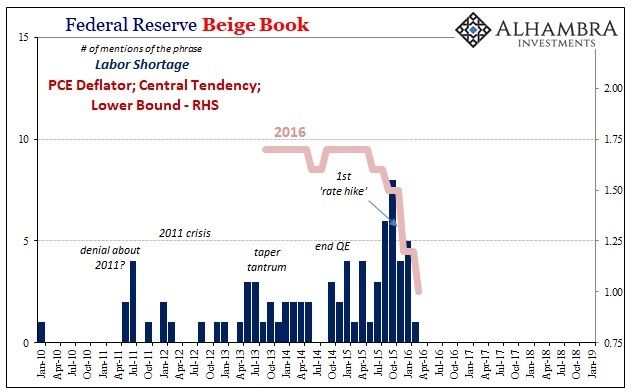 The FOMC models trimmed the inflation forecasts even this late in the year and the final Beige Book for 2018 cited “labor shortage” fewer than half the number of times as in September. In a separate, external survey of Minnesota builders, almost two-thirds said the lack of available labor has forced them to turn down business. Minnesota businesses are so desperate to find enough workers they refuse to pay the market-clearing wage to obtain them? If you are confused, like Jay Powell, don’t be. The unemployment rate isn’t an accurate measure of the economy. Even if there was a labor shortage, businesses that can’t afford to pay for workers to clear it up indicate collectively the economy really isn’t doing all that well to begin with. In an actually booming economy, a labor shortage would never happen – wages would easily adjust to clear the market.  Business and the profit outlook would be genuinely positive, so any firm would more easily balance higher input costs to book growing opportunities. If they don’t, the outlook is not genuinely positive so how can the economy be booming? Beyond that, the idea of a labor shortage is simply being hyped because of the unemployment rate combined with the desperation of policymakers using it (along with the media that supports the technocratic ideal they embody). Thus, the skyrocket in mentions not wages, then the plummet in the former as the economy suddenly, unexpectedly turns “uncertain” after September. It is therefore interesting that the Mirror Book shows us again just how much officials lack for confidence in their view. But we already knew that. If they really believed the economy was strong, why the “rate hikes” every other meeting? Greenspan raised the federal funds regime at 17 successive opportunities. It may be a lagging indication, but it’s still an indication and one actually more consistent with the curves.